If you ever worked in a team with developers, you soon find out they maybe use different editors, (IDE’s) with different settings than yours. But you are a big fan of linting and reviewing code in Github or other Git system, but everytime someone checks-in code, there are massive merge-conflicts because of different settings for the indenting. 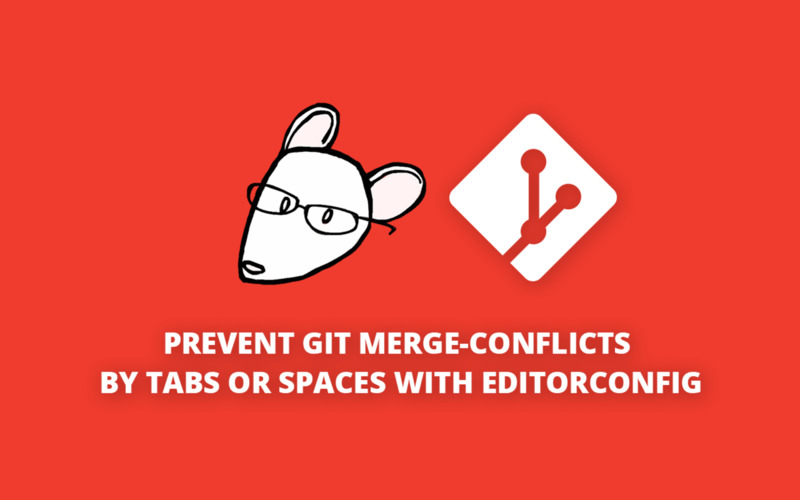 If you use tabs and a developer from your team is using spaces by default, it will soon become a merge-conflict hell! But of course, there is a very quick fix for it! The editorconfig is supported across multiple editors and platforms. By putting this file in your project, most editors will change the config by default. There is a great introduction playlist on youtube you should definitely watch if you want to see how it works.